The PlayStation 4 remaster gets a PC version. Final Fantasy XII: The Zodiac Age, which launched for PlayStation 4 in July 2017, is coming to PC via Steam on February 1 for $49.99, Square Enix announced. Users who purchase the game through Steam within the first week of launch will receive a 20 percent discount, a three-track digital music compilation, and a new Steam skin illustrated by Final Fantasy artist Isamu Kamikokuryo. A physical Collector’s Edition will also be released exclusively via the Square Enix Store for $149.99. It includes an official Collector’s Edition Steelbook with the original soundtrack, a five-piece Judge Masters Bust Set, six-card art set, and a digital download code for the game. 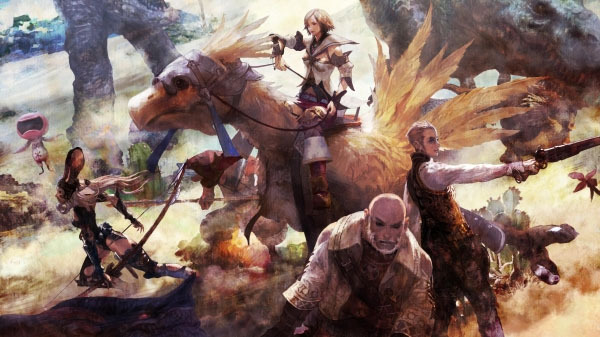 60FPS – Ivalice will look better than ever with the game running at 60FPS. Compatible with 21:9 ultra-wide monitors – Up to three HD monitors can be used for a potential 48(16×3):9 experience. New Game Plus and New Game Minus – Post-game content modes are now accessible from the beginning of the game. Maximized License Points and Gil – New functionality added to grant players max License Points and Gil from the configuration screen. Square Enix will host a special launch program on Thursday, February 2 at 12:00 a.m. PT where producer Hiroaki Kato and director Takashi Katano will answer questions presented by Final Fantasy fans on Twitter. You’ll be able to watch the program with English subtitles on the official Final Fantasy YouTube channel. Watch the PC announcement trailer below. View the first screenshots at the gallery.